Here is an article that may clarify some of the problems with our health care system, and possibly on how to solve them. Whatever the Supreme Court decides about the individual mandate, the main battle remains to be fought: how to rein in the grotesque costs of the current system. It’s hard to find anyone who defends the structure of American health care. Every incentive is misaligned. Patients have little incentive to be prudent in their use of services, or to pay the costs of their own unhealthy lifestyle. Under the fee-for-service model, doctors and hospitals get paid more the more they do. Fear of random lawsuits causes them to practice “defensive medicine,” and chills open interaction with patients and other professionals. Insurance companies make more money by denying claims. These misaligned incentives, most experts believe, are largely responsible for the notorious inefficiency of American health care — costing more than $8,000 per person, or twice what most other countries spend. The total tab — $2.6 trillion in 2010, or 18 percent of GDP — is substantially responsible for America’s trillion-dollar deficits. The federal government pays roughly a third of the total national health care bill, mostly through Medicare (health care for the elderly) and Medicaid (health care for the poor). It also spends hundreds of billions — $177 billion in 2011 — in tax expenditures for employer-provided health insurance. Instead of aligning human incentives, the structure tries to contain costs through bureaucratic restrictions. Reimbursement schedules are managed through complex computer programs. In 2014, if not sooner, the federal government will add over 120,000 separate health care reimbursement categories, including 21 separate classifications for “spacecraft accidents” and 12 for bee stings. This bureaucracy is expensive, and skews incentives even more. For example, Medicare will cover the cost of a registered dietician if patients already have diabetes or kidney disease, but it won’t pay for referrals to a dietician for obesity alone — this despite the fact that obesity is a leading contributor to diabetes, kidney disease and scores of other costly ailments. Almost every aspect of health care bureaucracy is hateful. Doctors say they spend a third of their time on paperwork. Patients are driven to tears by the cold calculations of incomprehensible reimbursement guidelines. The Affordable Care Act, aka Obamacare, strives for universal coverage. While it encourages pilots for more efficient delivery systems, the overall effect is to exacerbate the unaffordability of American health care. In this sense, the upcoming Supreme Court decision on constitutionality is just a side skirmish. Whatever the Court decides, the main battle remains to be fought: how to conquer the grotesque inefficiency of health care. Circling around this giant orb of self-destructive habits, skewed incentives, and bureaucracy, it is easy to see many possible areas for change. About 75 percent of health care costs are attributed to chronic disease (a significant portion of which is brought on by obesity and smoking). About 30 percent of Medicare costs are spent in a patient’s last year of life. Health care bureaucracy is estimated to account for as little as 14 percent and as much as 31 percent of costs. Then there’s the cost attributable to legal fear from unreliable justice and reimbursement fraud that’s easy to hide in the bureaucratic jungle. These numbers add up to more than 100 percent, because they overlap. The bottom line is bloated costs: an appendectomy here costs more than four times what it does in Germany. What these facts reveal is a vast range of opportunity for creative new approaches — from better dietary habits to better justice. But change will require new structures and institutions, not tweaks to the current system. That’s the only way to disrupt the wasteful habits of the status quo. I have two specific proposals for new frameworks. The first is now broadly accepted by health care thought and political leaders of both sides, including President Obama and Mitt Romney, but has been stymied so far by a powerful special interest. The second is radical, and would be considered politically suicidal. It would also solve much of the problem of misaligned incentives. Distrust of justice is pervasive among doctors and care providers. A 2002 Harris Interactive survey revealed that 83 percent of physicians didn’t trust the current medical justice system to reach reasonable results. And the distrust is more than warranted: studies show an error rate of about 25 percent in health care claims. One effect of this distrust is to raise costs by the practice of “defensive medicine” — ordering tests and procedures that aren’t needed in order to provide a defense in case there’s a lawsuit. Defensive medicine is notoriously hard to measure, both because of mixed motives (sometimes doctors make more money from the tests) and because the defensive practices have become standard practice. Estimates vary from about $45 billion to over $200 billion annually. A 2005 survey in the Journal of the American Medical Association found that 93 percent of high-risk specialists in Pennsylvania admitted to the practice. Defensiveness also impacts patient safety, by stifling open interaction among health care professionals. A 1999 Institute of Medicine report concluded that a defensive mindset was one of the major contributors to an estimated 44,000-98,000 unnecessary deaths each year in America’s hospitals. Doctors are reluctant to question things that seem amiss — Are you sure that’s the right dosage? Speaking up might lead to legal responsibility. What’s needed is a system of health justice that is reliable: it must be trusted to reliably sort good care from bad care. Tort reform, which limits pain and suffering damages, does not overcome the problem of distrust. Tort reform helps reduce doctors’ malpractice insurance premiums, but does not make justice predictable — a doctor can still be liable for millions for a tragic disease that the doctor did not cause. That’s why defensive medicine is prevalent in states with tort reform. The solution, widely embraced by providers as well as patient advocates, is to create reliable health courts. America has a long history of special courts — e.g., tax courts, workers’ compensation tribunals, family courts. In administrative health courts, an expert judge (not a jury) would decide cases based on best medical practice, writing an opinion that is subject to appeal to an appellate health court. Among other features, there would be a requirement of full disclosure by hospitals, and all facts would be fed back into the health care system so providers learn from their mistakes. All constituencies benefit: doctors can trust the system to defend their reasonable actions. Patients injured by mistakes can get justice within a year, not the five years it takes today. Legal costs, which today consume more than half the malpractice dollar, would be cut in half. 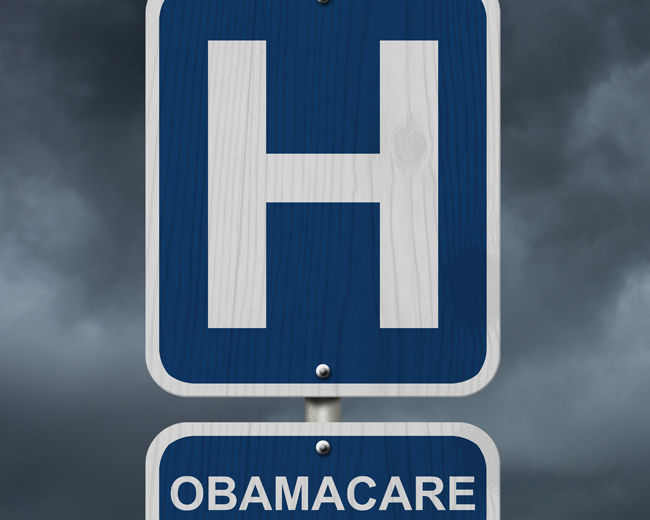 Health care expenses would no longer be inflated by defensive practices. Doctors would feel comfortable being open and candid with patients and each other. The health court proposal was developed in a collaboration between the Harvard School of Public Health and Common Good, which I chair, and funded by The Robert Wood Johnson Foundation. It has been endorsed by both Mitt Romney and President Obama, and was a specific part of the proposals of four deficit reduction commissions in 2010. So far the proposal has been stymied by…you’ll never guess. The trial lawyers are so powerful that they prevented even pilot projects from being included in theAffordable Care Act. The act specifically excluded funding of any pilot project that replaced the jury. Health courts will not correct all of the misaligned incentives in health care, but they are a necessary condition of any coherent system. It is impossible to align incentives while doctors go through the day listening to a little lawyer on their shoulders instead of acting on their best judgment. Medicare and Medicaid, like private health plans, are based on an insurance model. The patient goes to a doctor or hospital, which gets reimbursed based on a byzantine bureaucratic model that drives everyone nuts and leads to constant legal bickering. This fee-for-service model misaligns incentives towards more care. The way to align incentives, many experts agree, is by providing care through a single provider — known in jargon as an “accountable health care organization” or an “integrated care provider.” Instead of being paid a fee for each service, the provider is paid a fixed annual price to do everything for the patient (with limited exceptions for catastrophic care). Instead of making more money by dialysis and amputation of limbs of patients with diabetes, the provider now has an incentive to keep the patient healthier by nudging them towards better lifestyles. The provider hires social workers in lieu of more surgeons. Comprehensive providers are not a radical concept. The Kaiser health system in California works this way. The Veterans Health Administration (VA) is a public model. Several states, including Texas and New York, are moving to integrated care providers for all Medicaid recipients. Every public dollar involves moral choice. One dollar wasted in inefficient public health care is a dollar not available for, say, pre-K education. The deficit we’re running because of profligate health care spending is not an abstraction. We are crushing the next generation under debt incurred solely because we lack the discipline to provide public health care efficiently. The integrated care provider in my proposal would likely be a private organization, such as Kaiser, which gets a government contract to provide care to Medicaid recipients in a given area at a fixed per capita cost. There could even be several providers, to stimulate competition. But at any point the patient would have one provider, just as most of us do business with one bank. The advantages are transparent: there would be virtually no reimbursement bureaucracy, and the incentives would be aligned towards health, not expensive treatments. Government would provide oversight, to make sure services were provided as promised. As a nod to political and practical realities, the transition to public integrated care providers should be phased in over 5-10 years. Medicare recipients today need not fear disruption — they can stay on it forever. Those under 60 today will have the choice of a single provider when they reach 65. It is also possible to give Medicare recipients the choice of an integrated provider, or a voucher of the sort proposed by Cong. Paul Ryan and Sen. Ron Wyden. I believe in providing health care to everyone. If people cannot afford health care themselves, then the responsible alternative, given other public needs, is to provide it in the most cost-effective way. Today, we are providing care in the least cost-effective way. This is profoundly immoral, in my opinion, and requires a new approach to providing public health care.